We can design your cable railing project with surface mount or side mount posts. While surface mount posts sit on top of the treads or flooring, side mount posts are fascia mounted to preserve the maximum space on your deck, stairs or balcony. In addition, these posts provide plenty of strength to serve as a protective railing. In this project, the customer choose the side mount posts to maximize the width of their stairs. 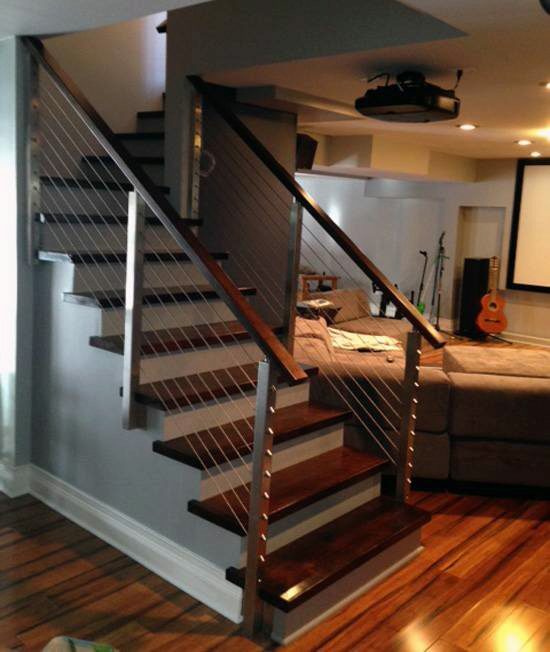 This system is paired with our 6000 handrail that gives the railing a modern appearance.